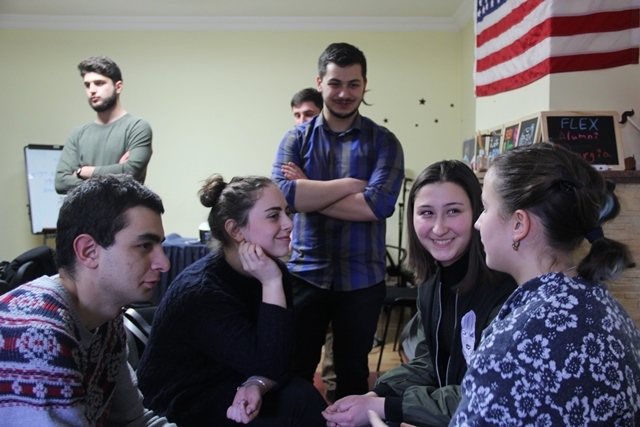 The Eastern European FLEX-Ability (EEFAW) workshop gave FLEX alumni skills to incorporate innovation and entrepreneurial aspects to their already-existing community projects. 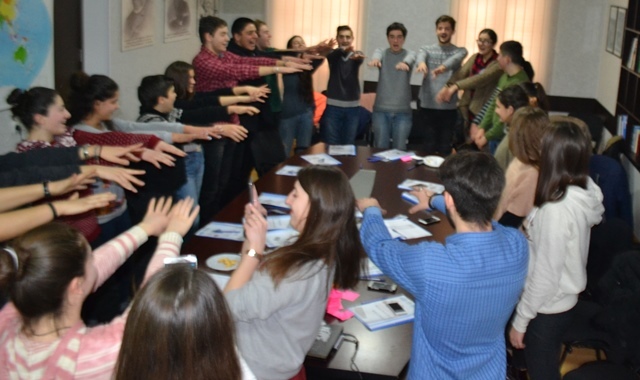 Alumni in Georgia, equipped with the knowledge from the workshop, hosted events in the cities of Tbilisi, Khashuri, Gori, and Telavi, to share STEM and career skills with young people in these communities. STEM for Society: Five alumni organized the STEM for Society workshop for 25 high school students. Alumni led presentations on creating and developing business projects, sharing examples of successful youth entrepreneurs. Students broke into pairs and brainstormed business ideas – taking the best of the best ideas and developing them into a business plan with the information learned during the sessions. 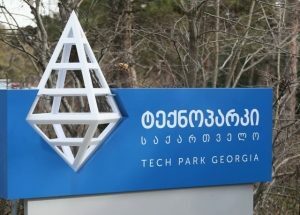 The trainings continued with a site visit to the Tbilisi Tech Park, where students learned about free of cost entrepreneurship classes and were introduced to the tech-side of entrepreneurship in Georgia with STEM machines and 3D printers. The workshop ended with participants sharing their group ideas and proposing ways and partnerships to strengthen the projects. Following the workshop, several participants made appointments with the TechPark to return and discuss their business plans. Motivation and Participation (MAP): Five FLEX alumni held career development seminars for 60 teenagers in regional cities of Georgia. The trainings aimed to develop basic skills, preparing the young people to enter the job market and apply for opportunities in Georgia and abroad. FLEX alumni set the stage for a first job interview, preparing with the students a resume and holding mock interviews. Alumni encouraged the young people to come up with ways to strengthen their resumes and gain a broader outlook on their professional aspirations by attending events such as youth camps, professional trainings, and volunteer activities. All participants left the seminar with a current resume and cover letter. They also received a list of opportunities available to youth, which required these items. Hence, participants were encouraged to put their work to use and apply for other personal-development events.